****Property Update! 3154 Willow Springs Circle, Venice, FL 34293 is under contract. 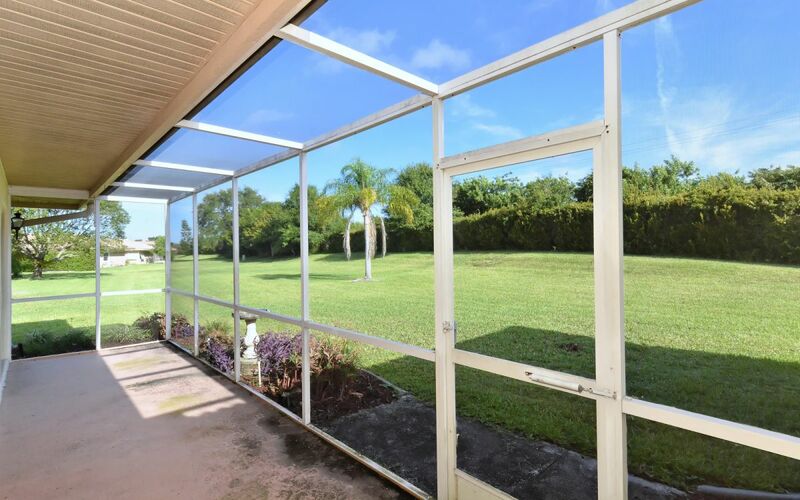 Please call us at 941.404.9860 or click here to view other properties similar to this one. To see this listing or other listings like it call The Zarghami Dream Home Specialists in Sarasota, FL at 941.404.9845! Pull up to this home and you’ll feel like you’ve stepped into a Florida postcard. The exterior & lush landscaping are meticulously maintained. The Spanish tile roof, stucco exterior, covered porch, and tiled front patio will greet you with iconic Florida style. The screened, double-door front entry adds extra charm, too! Once inside, enjoy bright, wide open living space that is perfect for hosting family and friends. The living room features vaulted ceilings and the dining space has a gorgeous bay window that allows for plenty of natural light. In the kitchen, you’ll find tile floors, a more casual dining area, & great cabinet space for storage. A sliding door provides access directly to the outside and the giant window over the sink offers a great view of the back patio and yard. The master suite is spacious with an attached full bath and also has direct access to the large screened lanai on the back of the home. Imagine entertaining friends or simply enjoying the serenity of your gorgeous backyard. This home is located in the incredible community of Willow Springs – a sociable neighborhood with scheduled potluck dinners, cocktail hour at the clubhouse, and more! Additionally, the HOA covers exterior maintenance such as house painting, roof cleaning, the irrigation system, and lawn care which will ensure the neighborhood remains picturesque while freeing you to spend your time doing more important things. Schedule your private showing today to learn more about this great home in an amazing community! PROPERTY DESCRIPTION IMPORTANT DISCLOSURE: Although this property was available at the time of this ad creation, it is very possible that an offer has been submitted or even accepted since that time. This ad was created with the intent to sell THIS property. If you are interested in this property, Please call 941.404.9845 to check on its current availability. To see this listing or other great listings like it call The Zarghami Dream Home Specialists at 941.404.9845. Wondering how much you can afford? Check out our Mortgage Calculator and see how much purchasing power you have when buying a home in Venice FL.